Fender's Telecaster is one of the icons of the guitar world. It's not just manufacturer's hype that this is one of the most famous guitars of all time - it was the first production solid-body electric guitar, setting the style for everything that followed. To say this guitar changed the world of music is no over-the-top boast. This is the first history and giftbook devoted to the legendary Tele. 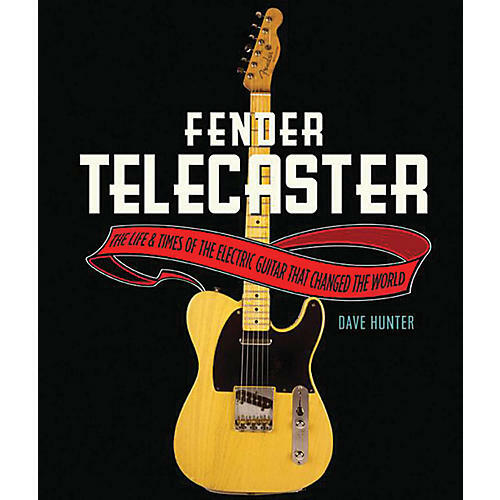 It covers the development of the guitar and the famous players who made it their own, from the first 1949 prototype to the launch of the model in 1950 as the Esquire, through the Broadcaster, infamous "Nocaster," the Telecaster - and its numerous variations today.